CTOs and IT professionals working in the broadcasting, media, and entertainment market were never more strategic than they are, today. The power to create a brand’s future on multiple distribution channels relies, not only on great content and messaging, but on the underlying technology. Technology is a core aspect of the media and entertainment business, whether when relied on to analyze mass data for building user profiles and preferences that will guide content commissioning, or when launching apps across multiple channels that are the brand’s means of direct communication with loyal viewers who are the key revenue and growth generators. Yet, many CTOs and IT professionals find themselves spending too much time on integrations and updates instead of on innovative initiatives, which ultimately drives up costs without increasing revenues. OutSystems published “The State of Application Development” research in August, 2018, after connecting with more than 3,500 IT professionals from various industries in over 116 countries. They found that an overwhelming 65% of IT professionals claimed to have an app dev backlog, and for 10% of these respondents, the backlog was for more than 10 apps. When asked what percentage of the applications they will develop in 2018 will be new innovations, rather than replacing and updating applications that they already have, IT professionals answered that only 37% of their time will be spent on innovation, with the the majority of their time (approximately 63% of it) spent on maintenance. This serves as a useful reminder that IT departments typically devote around 75% of their resources to “keeping the lights on” and not to innovation. Moreover, companies today are adopting more than one cloud service. Forester reported that 89% of enterprises use at least two clouds and 81% are using at least three or more public clouds. 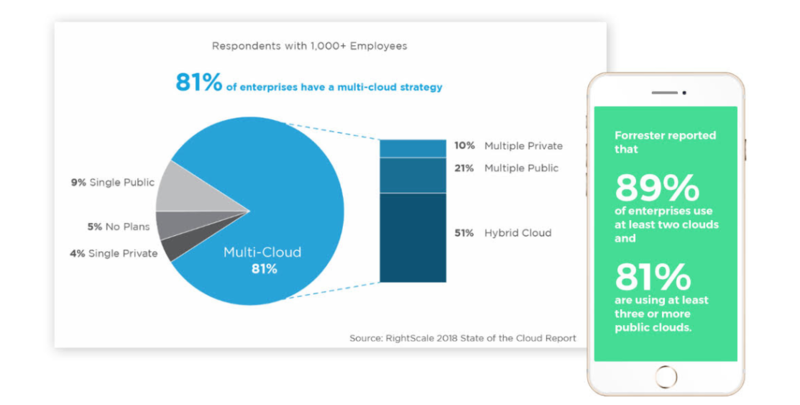 With the explosive growth in multi-cloud adoption, organizations are struggling with disparate tools and processes to gain visibility, enforce compliance, and ensure application performance. Thus, tying a brand’s fate to one or two select providers often means not being flexible enough to navigate a sea of ever-changing needs. WHAT IS A MULTI-CHANNEL APP STRATEGY? 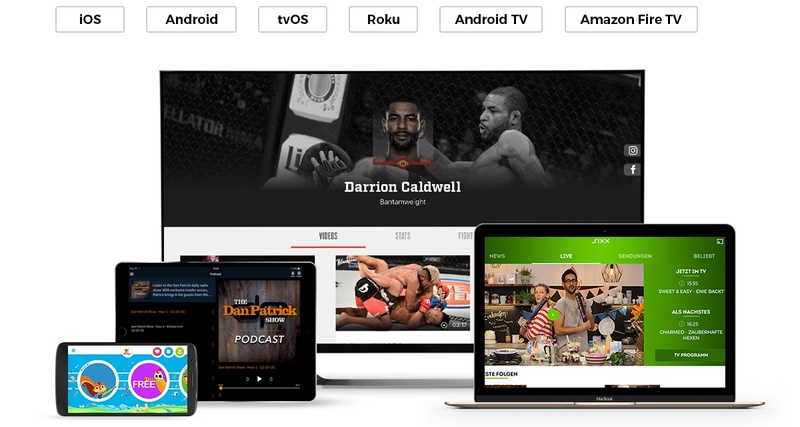 A multi-platform or multi-channel app strategy is one that is focused on ensuring content is available to viewers at any time, on all platforms, devices, and distribution channels. Keeping all maintained and up-to-date is key to building a strong and loyal direct-to-consumer strategy to substantiate brand equity. To truly deploy and maintain a successful multi-platform strategy the right provider must streamline the design, deployment, and maintenance processes of applications across multiple platforms and channels, with a focus on both external and internal factors. An external focus would ensure end users are getting the most advanced and up-to-date content irrespective of their preferred user platform. Flexibility, agility, and ease of use. It allows the brand to maintain a multitude of unique applications, all of which can seamlessly interact with a variety of plugins, cloud services, and proprietary developments. Control. 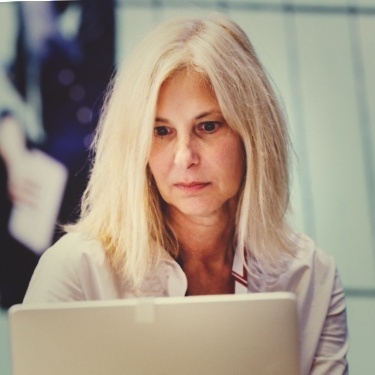 CTOs would once again attain an uncompromising level of control over integration, maintenance, and updates while simultaneously freeing up staff for other tasks. Time-to-market. When IT professionals participating in the OutSystems research, mentioned above, were asked if their organization was happy with the speed of application delivery, 59% of organizations were either unhappy, somewhat unhappy, or neutral. Having a multi-channel platform that gives CTOs control and flexibility means shorter development cycles and faster time-to-market. Of course, building a multi-channel app strategy is not without its challenges. Many CTOs that are looking to build a multi-channel app delivery and management operation have been let down time and again when vendors were not able to deliver. Delays in delivery times, slow development cycles, and rigid infrastructures mean many CTOs have become suspicious of vendors promising them a one-stop-shop solution. Another key challenge cited by more than 60% of IT professionals is the ability to integrate legacy systems and APIs, as well as their own IP, without compromising ownership, development of effective go-to-market strategies, or integrity and unity of relationships. In order to overcome these obstacles, a brand must first and foremost understand its audience. Today, end users rely on multiple devices for consuming content and information at the touch of a button (or “tap of a finger”), and they wish to use such devices at any given time or place, according to their own personal predilections. There’s a dramatic shift toward digital and a dramatic shift toward mobile. The number of hours people are watching linear television is dropping. The number of hours on mobile and digital is rising. It’s particularly true among young audiences. It’s less about only watching on your big screen and much more about watching what’s specific to you on a more personal device. We think those trends will continue and will be augmented by other technology, like augmented reality, mixed reality, and virtual reality. Much more mobile consumption, and much more consumption of other ancillary devices. Equally critical is having the right tech provider. Not only does a CTO’s partner need to brilliantly address current needs, the partner must also support the scale and the addition of new platforms and content consumption methods such as AR and VR. So when looking for the right solution, brands should employ a SaaS solution for cross-platform app development and management that’s focused on giving them the freedom to control their technology of choice. It’s not a pipe dream; it exists today. And while the cynics might have heard this promise before, Applicaster’s Zapp platform was designed with them in mind. While assorted providers may seem to offer the same solutions on the surface, considering pertinent underlying details may mean the difference between the perfect partner and a frustrated break-up a year down the line. You may have already created a proprietary video player that suits your needs. You may have already invested big bucks into an internal content management system that you have no desire to change. You may have developed a preexisting application that’s highly robust except for a few missing features. Instead of starting from scratch, the right SaaS solution can offer features that work in a complementary fashion with the application and/or any existing infrastructure. Think about the key factors that are essential to maintaining dominance in your space and how they can be performed both efficiently and cost-effectively. What would the ideal provider need to be able to do for you in order to make a positive impact? Do you need the ability to change or replace third-party vendors at will without compromising your entire infrastructure? Do you need the capability to employ a “hybrid model” where your own strategic IP code can be seamlessly integrated with an outside platform’s code? Do you require the versatility to deploy a variety of models, services, and offerings to multiple regions around the world in real time? The right provider should make it easy for you to do all of these things effortlessly. At the heart of this choice is the need for a winning media app strategy, but in order to achieve that means knowing what it looks like. It means embracing the shorter decision-making process and faster delivery of relevant content that digital natives crave. It means simplifying collaboration through the use of rich internet applications (RIAs) and embracing viable technological changes that prove to be more than just fads. It means the unfettered ability to exploit cheaply produced short-form content that appeals to a target audience whose attention span has gotten noticeably shorter in the last two decades. In fact, according to an article in Forbes, the attention span of millennials in the iPhone age is only 12 seconds and shrinking. A recent study by Comscore found that, in the US, millenials spend less time, overall, watching short-form content on YouTube, but they watch content much more frequently, leading to 3x as many video views on mobile. Perhaps the most significant part of the value-added proposition offered by a cross-platform SaaS solution is that the provider can shoulder the costs and risks inherent in keeping up with the technological Joneses. Brands can therefore take the energy they previously spent designing and building applications and instead focus on responding to the needs and desires of their audience. An OTT provider that synergizes all applications, channels, properties, and programs across multiple platforms and devices gives the brand the power to permanently capture the attention of an increasingly fickle and restless audience. According to figures cited by V12 Data, brands that were able to effectively employ multi-channel engagement strategies enjoyed a massive 89% audience retention rate compared to just 33% for those that did not. The right provider understands that while audience habits are always in a state of flux, offering solutions that allow brands to build long-term value with their audiences is timeless. The obvious need for a multi-channel media app strategy is clearly crucial — not just for dominance, but simply for relevance, as we hurdle towards the future. Are you interested in learning more? Request a demo from Applicaster, today!